WARSAW – Tuesday marked a memorable day for Grace’s women’s golf team with the program’s first home tournament. 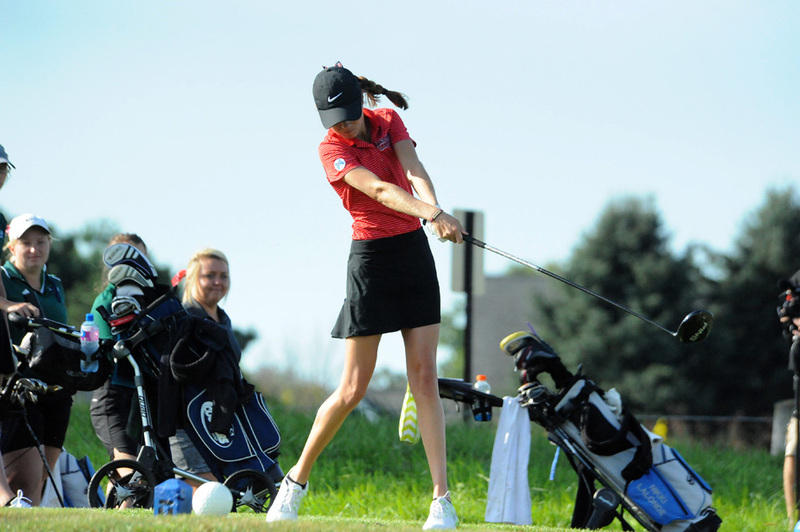 The Lady Lancers finished second out of four Crossroads League teams at the Lancer Invitational, held at Stonehenge Golf Club. “Today was a learning experience for our young team. We didn’t perform at the level we expect of ourselves, but it’s clear we’re making steady progress,” said Grace head coach Denny Duncan. “Our freshmen are making so many life adjustments that some level of inconsistency is understandable. Lauren Keiser posted the lowest score of the tournament for Grace with an 87. Libby Tully was next in Line with a 99, and Kate Adams was third on the team with a 100. Stevie Luebbert carded a 104 to round out Grace’s scoring, and Amanda Gifford shot 122. Alex Noppert (116) and Emily McDermit (117) played as individuals for Grace. St. Francis won the tournament with a 334, including an 88 from Warsaw Community High School graduate Nikki LaLonde on her former home course. Mount Vernon Nazarene shot a 410 and Huntington wrapped up the team scoring with a 411. Grace’s next tournament is Saturday with the Manchester Invitational at Honeywell Golf Course.